The eagerly awaited draw took place on Sunday, Oct 7 to find the winner of our Mountain Bike and Camping Package Raffle. 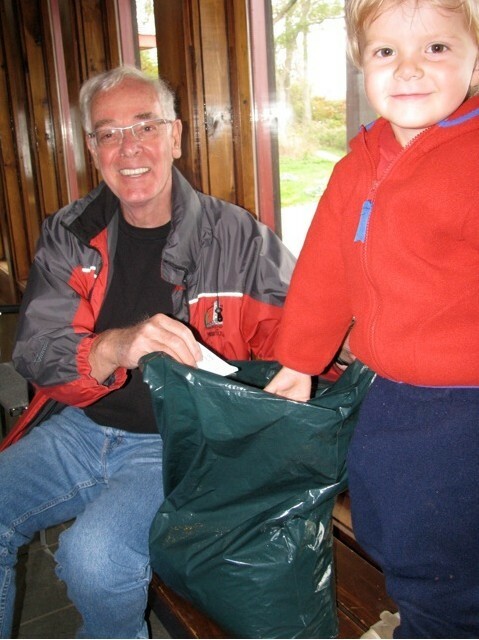 Life member Don Boucher, ably assisted by Oliver, made the draw at the Lighthouse Interpretive Centre. The lucky winner is L VanDusen, of Brighton, which lead to some conversation between Lynda and Lorne as to whose $10 had paid for the ticket. I think Lynda won. Having recently sold the family cottage she also commented that "most people trade down at some point but the two man mountain tent from MEC was going to be a squeeze". They will enjoy bug free and safe cycling in the Park with a box of OFF products and a helmet from Tri & Run Sports, of Trenton.